Cleveland files claim against Tamir Rice’s estate for cost of ambulance. 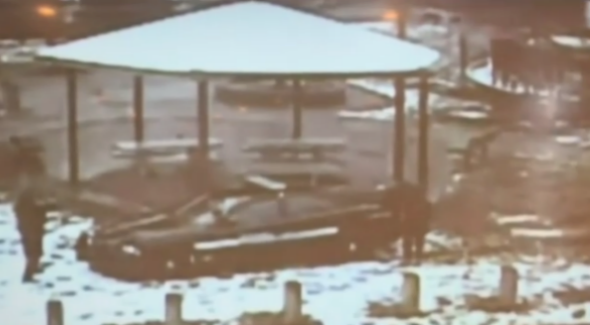 Surveillance video of Tamir Rice shooting. On Nov. 22, 2014, 12-year-old Tamir Rice was shot and killed by Cleveland police officer Timothy Loehmann while playing with a BB gun in a local park. On Dec. 12, 2014, the shooting death was ruled a homicide. A full, excruciating year later for the Rice family, on Dec. 28, 2015, a grand jury decided against charging the officer responsible for Rice’s death. On Wednesday, Feb. 10, the city of Cleveland filed a $500 past due payment claim against Tamir Rice’s estate for nonpayment of the cost of the ambulance ride that transported him to the hospital, where he eventually died. “Affiant states that to date Decedent has failed to pay for the goods and/or services as agreed upon delineated in the invoices, accounting, and/or ledger statements,” the claim reads. 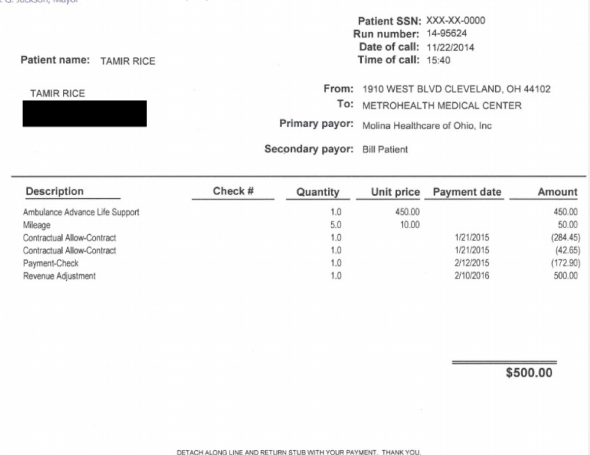 The Tamir Rice invoice for EMS services rendered after he was shot and killed by police. This is not the first time something like this has happened; in 2012, New York sent a $710 bill for vehicle repairs to a mother of a 27-year-old man who had been struck and killed by a cop car. The city attributed its institutional insensitivity to bureaucratic error.